Welcome to the Claimants' Advisory Committee (CAC) website. We are the official committee appointed by the U.S. District Court in the Eastern District of Michigan to represent the interests of claimants in the Dow Corning Bankruptcy Settlement Plan. This website has information concerning the Settlement Facility for the Dow Corning Trust (SF-DCT). We welcome all comments and questions so that we can make this website informative and useful. Contact us by phone at 419-394-0717, by email at info@tortcomm.org, or by U.S. mail at: Claimants' Advisory Committee, P.O. Box 665, St. Marys, OH 45885. You can also sign up to receive a free copy of our monthly electronic newsletter by e-mail by clicking here. Today, the District Court entered Closing Order 2. To view this order, click here. We urge everyone to carefully review Closing Order 2 because it contains important information about filing appeals, deadlines, updating addresses, the process for attorneys to withdraw from representation of claimants, requesting checks to be re-issued or replaced, and other important information. Section A - Claims that are incomplete or late as of June 3, 2019 will receive a Final Determination Letter denying the claim. Claimants can appeal this denial to the Claims Administrator within 60 days on the date of the letter. If the Claims Administrator denies the appeal, the claimant can then appeal to the Appeals Judge within 60 days from the date of the Claims Administrator decision letter. Section B - attorneys who receive a payment for a claimant but are not able to distribute it before its expiration (180 days) MUST return the entire amount of the payment to the SF. If the claimant is subsequently located, the SF may reissue payment subject to deadlines for reissuance of checks provided for in this Order. Attorneys may assert a lien on the payment amount and recover their attorney fees and expenses even if the claimant cannot be located. Section C - Claimants and attorneys are required to keep their address and contact information current with the SF. The SF shall NOT issue payment unless it has a confirmed, current address for the claimant or authorized payee. Paragraph 11 defines what is considered a confirmed current address. The SF shall not mail payments to a lawyer or law firm unless it has a confirmed, current address for that lawyer or law firm. Section C also has protocols for situations where the attorney of record is deceased, disbarred, retired, suspended, or does not have a confirmed, current address. Paragraph 12 notes that the court will set a final distribution deadline at some point in the future. The SF shall not issue any replacement checks or other payments after the final distribution deadline. Section D - The SF is authorized to audit claimant settlement payments to lawyers / law firms to determine whether the law firm has distributed the payment and whether the claimant received the appropriate amount of funds. Section E - Attorneys of record may not withdraw from representing a claimant unless the claimant terminates the representation, or the attorney seeks permission to withdraw by submitting a written request to the Appeals Judge within 30 days of the entry of this Order (the order is dated March 19, 2019). The request will be granted only if the Appeals Judge determines that the withdrawal meets the standards of Section 1.16 of the Model Rules of Professional Conduct. Section E, paragraph 17(c) describes the procedures for submitting requests to withdraw representation. Section F - If a claimant does not cash a check before it expires (180 days), the claimant may request issuance of a new check at any time before June 3, 2019. After June 3, 2019, the claimant may request issuance of a new check only as provided in paragraph 19 and 20. Paragraph 19 provides that the SF may issue a new check payable to the estate or personal representative of a claimant who has passed away, even if the check has expired, provided that the representative notifies the SF of the death of the claimant AND provides the necessary information about the authorized payee no later than 30 days before the final distribution deadline. The final distribution deadline has not yet been set. It will be set by the Court at a later date (paragraph 12). Paragraph 20 provides that the SF may issue a replacement check for good cause and describes how a claimant or attorney can request the replacement check. Section G - If an attorney is unable to locate a claimant and notifies the SF of this, and if the attorney returns all of the funds to the SF, then the SF may issue a replacement check net of attorney fees and expenses if any allowed by the Lien Judge to the claimant if the claimant later comes forward. The request must be made no later than 30 days before the final distribution deadline. Section H - the SF and CAC shall post this order on their websites and shall distribute information about this Order in the CAC newsletter and social media page. If you want to submit a claim for payment from the Dow Corning Settlement Trust, you must submit your claim forms and supporting documents to the Settlement Facility with a postmark date of on or before June 3, 2019. All claimants must submit 1) the Proof of Manufacturer Form, along with documents that show your implant was made by Dow Corning, AND 2) the $2,000 Expedited Release Payment or Disease Payment Claim Form. If you submit a Disease claim, you must also submit supporting medical records. You can download all claim forms by clicking on the tab on the left side of the screen called "Claim Forms - SFDCT." You can also call the Settlement Facility toll free at 866-874-6099, and they can mail claim forms to you. WE URGE ALL CLAIMANTS TO TAKE ACTION NOW AND SUBMIT YOUR CLAIM FORMS AND SUPPORTING DOCUMENTS ON OR BEFORE JUNE 3, 2019. Submissions that are postmarked June 4, 2019 or later will be denied. No late claims will be accepted..
We also urge you to follow our daily updates on our Facebook page, Claimants' Advisory Committee, Dow Corning Breast Implant Claims. Here is the link to that page: https://www.facebook.com/ClaimantsAdvisoryCommittee/?ref=bookmarks. Like and/or follow our Facebook page. Check it daily for updates, reminders, and relevant information. The most important thing you can do at this time is to submit your claim forms. Lastly, the Settlement Facility has a new policy that will impact your payment. Before they mail any payment to you, they must hear from you first to confirm your current address. You can confirm your address by calling the Settlement Facility toll free at 866-874-6099 or by sending them at email to: info@sfdct.com. Call or email them and confirm your current address to them. This will ensure that any approved payments will reach you. The 6th Circuit Court of Appeals has ruled on the Premium Payment Issue authorizing the disbursal of fifty percent of second-priority payments. This Decision pertains to those claimants who did not receive their first 50% payment. Please click here to see the Decision. Please read carefully. This Notice affects your legal rights. The Settlement Facility - Dow Corning Trust ("SF-DCT" or Settlement Facility) is the claims office that processes and pays claims in the Dow Corning breast implant settlement. The Dow Corning Plan provides that the settlement program will terminate after 15 years which means that the program will stop accepting claims on June 3, 2019. All claims, documents, and submissions must be sent to the Settlement Facility on or before June 3, 2019. They must be postmarked on or before June 3, 2019 or they will not be considered. There will be no extensions. You may receive or may have previously received a letter from the Settlement Facility giving you a deadline to cure deficiencies in a claim. The June 3, 2019 final deadline DOES NOT CHANGE any deadline in a letter from the Settlement Facility. If you have any questions about your deadline, contact the Settlement Facility. If you do not comply with your deadline, your claim will be denied. Go to the SF-DCT website or contact the Settlement Facility for information about your claim and rights. The Settlement Facility has posted a Notice with details about: how to apply for either the Expedited Release or Disease Payment, how to apply for an Increased Severity disease claim, how to submit an appeal to the Claims Administrator and Appeals Judge, and how to get claim forms and other information to help you file a claim. All documents and forms are on the websites below or call the Settlement Facility to get any form or document mailed to you. Please keep your address current. FINAL DEADLINE: JUNE 3, 2019. NO EXTENSIONS. The Settlement Facility mailed a letter last week letting everyone who filed a Proof of Claim in the Dow Corning bankruptcy know that the Settlement Facility will be terminating the settlement program next year. The Settlement Facility was originally set up to begin paying claims in 2004 and to last for 15 years. The end of that 15 year period is June 3, 2019. All claims must be submitted on or before June 3, 2019 or they will be barred. We know that many of you may have questions about what this means, so we have developed a Q&A (Questions and Answers) that can provide you with information. The Q&As are posted on this website under the tab called "Claimant Information Guide and Questions and Answers." Click on the link that says "Q&As about the Closing of the Settlement Facility." The Settlement Facility office will not close on June 3, 2019. This is a deadline to file claims and submit any and all documents to have a claim reviewed and paid. The Settlement Facility office will remain open to review and process all claims until all approved claims have been paid. The final Premium Payment for approved Rupture and Disease claims, as well as approved Increased Severity disease claims, will likely be made sometime after the June 3, 2019 deadline when all claims have been reviewed. This may take several months or longer to complete, so it is more likely that any Premium Payment would be made in 2020. Yesterday, Dow Corning filed a Notice of Appeal regarding the District Court's Order authorizing Second Priority Payments (Premium Payments). In addition, Dow Corning filed a Motion to Stay the Court's Order, asking the Court to stop the Settlement Facility from sending out Premium Payments until the matter is resolved before the Court of Appeals. The CAC intends to file a response to this motion, opposing it, and asking the Court to allow the remaining partial Premium Payments to be sent. We will post copies of all the motions and documents on this website. The following law firms have offered to accept new clients who wish to submit a Disease claim in the Settlement Facility. To be eligible, women must have filed a Proof of Claim in the case and must be able to establish that they have or had a Dow Corning breast implant. The CAC does not endorse any law firm or attorney, nor do we guarantee that any claim will be approved simply because you are represented by an attorney. On January 31, 2018, the Settlement Facility will begin mailing a court-approved Notice about the final claims submission deadline of June 3, 2019 and the closing of the Settlement Facility offices shortly after that when all claims are processed and paid. There will also be an online Questions and Answers that will have more detailed information about the FINAL CLAIMS SUBMISSION DEADLINE. It will be available on or after February 1, 2018 here on the CAC website and on the Settlement Facility website. Please read through all the material carefully and confirm your status and contact information directly with the Settlement Facility at the number / email listed below. The CAC sent an e-newsletter today. Please check your emails. If you did not get a copy, you can read the newsletter on this site by clicking on the link for E-Newsletter and scrolling down to the newsletter with today's date. The CAC has set up a Facebook page to reach as many claimants as possible in the Dow Corning bankruptcy settlement. Like or follow our page called "Claimants' Advisory Committee, Dow Corning Breast Implant Settlement." The Settlement Facility has paid out approximately $1.347 BILLION in claims payments since June 1, 2004. A chart listing payments is below. REMINDER: The Settlement Facility will close to all submissions and claims on June 3, 2019. Any submission or claim dated June 4, 2019 or later will not be accepted. You can also send them an email at: info@sfdct.com. The Settlement Facility - Dow Corning Trust (SFDCT) Claims Office plans to reopen on Wednesday, September 6, 2017. Due to the flooding in Houston, Texas the SF-DCT (Dow Corning Claims Office) is closed. We anticipate they will be closed all of this week. We will post an update when we have more information available. Today, the CAC sent out a newsletter about recent reports noting a possible association between certain breast implants - mainly textured ones - to a rare cancer called Anaplastic Large Cell Lymphoma (ALCL). Click here to view the FDA's report. We urge women with implants to read the FDA report and to discuss any concerns they have with their medical doctor. We are simply passing on this information, which some of you are already aware of through news reports, to better inform you. If your implants have not been removed, please do not rush to have them removed based solely on this finding. Consult with your doctor and follow your medical advice. This is a rare, but treatable, cancer as the article points out. URGENT REMINDER: The final deadline to file a Proof of Manufacturer form is June 3, 2019. This is also the final deadline to submit a claim for Increased Severity or to file a claim for Disease or Expedited Release. After this date, the Settlement Facility will NOT accept any claims. Claim forms are available on our website under the tab "SF-DCT Claim Forms" or click here. If you have questions about your claim or status, contact the Settlement Facility at 1-866-874-6099 or by email at info@sfdct.com. The CAC issued an e-newsletter today. If you did not receive one, you can sign up at this link: http://www.tortcomm.org/newsletter.shtml. You can also read copies of all prior CAC e-newsletters at this link as well. Final briefing on the Finance Committee's Motion recommending that the Settlement Facility resume issuing partial Premium Payments will be completed today when the parties file their reply briefs. Copies of all briefs will be available under the tab "Premium Payments" on this site. The court will hear oral argument on March 23rd. If you need help with understanding how to file a Disease claim, there are guidelines that explain this in detail. Go to http://www.tortcomm.org/diseaseclaims.shtml or click on "Disease Claims" on the tab on this website. Claims for Increased Severity are also being accepted by the Settlement Facility. There isn't a claim form for this benefit. Simply write a letter to the Settlement Facility and request a review. To be eligible, you must already have an approved Disease claim. If you have questions about this or your status, please contact the Settlement Facility at info@sfdct.org. ALL CLAIMANTS AND ATTORNEYS ARE URGED TO KEEP THEIR ADDRESS, PHONE NUMBER, AND EMAIL ADDRESS CURRENT WITH THE SETTLEMENT FACILITY. To do this, email them at: info@sfdct.org. On December 30, 2016, the Finance Committee filed a motion before the District Court recommending that the Court approve paying 50% Premium Payments to women who have or had a Dow Corning breast implant AND who also have an approved Disease and/or Rupture claim, to approved Disease Option 2 Increased Severity claims, and to claims in Class 16 (Dow Chemical). The next step will be briefings submitted by both parties and then a hearing before the District Court. We anticipate that the hearing will be in March 2017. Until the District Court rules, no Premium Payments can be made. If the District Court approves the 50% Premium Payment, this means that claimants who did not previously receive a 50% Premium Payment can be paid, as well as all claimants who are approved for a Disease claim in the future. Claimants who have already received a 50% Premium Payment will NOT receive any additional payment at this time. We anticipate that the final 50% Premium Payment will be made closer to the end of the Settlement Plan in 2019. Claimants are reminded to keep all contact information current with the Settlement Facility. This includes a change of name, address, email, phone, attorney, and/or probate status. If a claimant has passed away, her family may pursue the claim by being appointed as Executor of her estate and submitting the appropriate probate documents to the Settlement Facility. We urge all claimants to keep their information current with the Settlement Facility to avoid delays in payment or having their payment returned because of an insufficient address. Claimants are also reminded that the final deadline to submit claims to the Settlement Facility is June 3, 2019. Disease claims often take many months to document, so claimants are urged to start this process now and not wait until the final deadline. Claims are also being accepted for Increased Severity or claimants may elect an Expedited Release Payment as a final payment for their claim. Claim forms are available on the Settlement Facility website. Finance Committee Recommendation & Motion for Authorization to make Second Priority Payments #1279. To read the Motion click here. Here is a link to the most recent CAC E-newsletter. Today, the District Court issued an Order approving the Consent Order To Establish Guidelines for Distributions From The Class 7 Silicone Material Claimants' Fund. This means that the Court has authorized approved disease claims in Class 7 to be paid and has approved the parties' agreed interpretation of "marshaling." The order will become final once the 30-day time period for appeals has expired and no appeals have been filed. Payments can begin once the Order is final. This means that payments will not begin until sometime in January 2016 or thereafter. You can read or download a copy of the Order here. Copy of the SFDCT letter sent to claimaints with an approved Disease Option 2 claim regarding Increased Severity - Please note the deadline date of June 2, 2019 is incorrect. The correct deadline date is June 3, 2019. To read the response, click here. Omnibus Response to Objections & Submissions Responding to Consent Order to Establish Guidelines for Distribution From Class 7 Silicone Materials Claimants Fund. To read the response, click here. Scheduling Order Regarding Consent Order to Establish Guidelines for Distributions from Class 7 Silicone Material Claimants' Fund. To read the order, click here. ATTORNEYS: Wells Fargo, the paying agent for the SF-DCT, requires law firms to provide an updated w-9 before payment can be issued. You can download a copy of the updated w-9 form here. Please complete and return the w-9 to the SF-DCT. Copy of the Notice to Class 7 Claimants Establishing Guidelines mailed by the SFDCT. To read the notice, click here. Judge Hood as issued an Order Authorizing Distribution of the Notice in reference to the Class 7 Consent Order. To read the order, click here. On Friday, May 22, 2015, the CAC filed a proposed Consent Order asking the Court to authorize payment of disease claims for Class 7 claimants. Most claimants in Class 7 have been previously paid a $600 Expedited Release Payment, a Foreign Gel Claimant Payment, or a $3,000 Cash-Out Offer. Claimants that rejected the Cash-Out Offer and elected for a full disease review have been waiting for payment on their approved disease claim. With the filing of the motion, the CAC hopes that these claimants can now be paid once the Consent Order is entered by the Court. In addition, the CAC has reached an agreement with Dow Corning regarding thousands of Class 7 claims that were previously denied by the SF-DCT on the grounds that the claimant allegedly had not "marshaled" their recoveries from their primary manufacturer (Bristol, Baxter). Under this agreement, claims will be reviewed to determine if the claimant was eligible to apply for disease compensation from the Revised Settlement Program. If so, then that claimant cannot apply for the same disease in Class 7. However, if a claimant was not eligible to receive benefits for a particular disease in the RSP, then that claimant may seek compensation from Class 7. For example, if a claimant was an Other Registrant in the RSP, the only disease option she was eligible for was Disease Option 2 (called Long Term Benefits). Other Registrants were not eligible for Disease Option 1 (Fixed Benefits) and diseases like ACTD. These claimants may now seek compensation for Disease Option 1 from Class 7. The SF-DCT will re-review the claims that were previously denied and will send eligible claimants either a $600 Expedited Release Payment or $3,000 Cash-Out Payment. The Cash-Out Payment is available only to those claimants who submitted a disease claim in 2006. Claimants may reject the Cash-Out Payment and instead elect for a full disease review; however, if the claim is not approved, they will not be eligible for the Cash-Out Offer again. A copy of the proposed Consent Order is available here. The MDL Common Benefit Trust fund has announced that it will offer women who were not compensated for Explantation in either the MDL or Dow Corning Settlement a chance to apply for $5,000 explant payment. For more information about this program, please click here. Please note that this program is not affiliated with either the RSP or Dow Corning Settlement Plan. If you are having difficulty getting your medical insurance to cover the cost of the explant surgery, there is a new resource for women. The Insurance Coverage Assistance Program will be available to provide advice and assistance on how to assess this Medicare, Medicaid, and health care coverage for issues related to breast implants. This program is to be operated by the National Center for Health Research, a consumer-oriented non-profit group in Washington, D.C., that has helped women seek insurance coverage for breast implant removal. The National Center currently operates the breastimplantinfo.org website. You may email them at info@breastimplantinfo.org with your name and email address for more information, including their toll-free number. If you do not have access to email, you can call them at 202-223-4000. On January 27, 2015, the Court of Appeals reversed the District Court's authorization to make 50% partial Premium Payments. Fortunately, the SF-DCT has already made 98% of the partial Premium Payments to eligible, approved claimants. This money does not need to be repaid. Claimants can keep the partial Premium Payment checks that were issued to them. Unfortunately, the remaining 2% of claimants who did not receive their partial Premium Payment check (or returned it for reissuance, or who had lost checks) are on hold pending either a consensual resolution to pay their claims or a court order. A copy of the ruling is under the tab "Court Orders." Today, February 10, 2015, the CAC filed a petition for rehearing on this ruling, asking the Court of Appeals to reconsider or rehear the issue based on what the CAC believes are two serious legal errors. A copy of the petition is under the tab "Appeals to the 6th Circuit" and then under the sub-tab "Premium Payments." We are happy to report that the Court of Appeals for the 6th Circuit issued a ruling today in favor of the claimants affirming that tissue expanders are included in the definition of "Breast Implants" in the Dow Corning Settlement Plan. This means that a woman who had a Dow Corning tissue expander can proceed with her claim as a Class 5 claimant and receive benefits for Explant and Disease / Expedited Release. This is a significant victory since Dow Corning had urged the courts to find that these claimants should receive no benefits at all. This should conclude all appeals over this issue and allow claimants whose claims have been on hold for the past 10 years to finally receive payment. To read the order, click here. Stipulation and Order Recommending the Appointment of the Honorable Pamela R. Harwood as Lien Judge. To read the order, click here. 6th Circuit Court of Appeals ruled Denying Dow Corning's Motion to Stay Partial Premium Payments. To read the ruling, click here. Reply of DCC to the Response of the CAC in Opposition of the Motion to Stay Regarding Partial Premium Payment Distribution. To read the response, click here. Response of CAC In Opposition to Motion to Stay Dow Corning Ruling Regarding Partial Premium Payment Distribution. To read the response, click here. Dow Corning has filed a Reply Brief to CAC Response regarding Tissue Expanders. To read the reply, click here. Judge Hood has ruled Denying the Motion to Stay Pending the Appeal of Dow Corning. To read the ruling, click here. As anticipated, Dow Corning filed a Notice of Appeal of the District Court's Order approving partial Premium Payments and a Motion to Stay the payments. This means that they have asked the District Court to prevent any payments from being issued while the appeal is being heard. The CAC filed a response opposing the stay and urged the Court to allow the payments to go forward. We do not know when the Court will rule. We have asked the courts to expedite the briefing on the decision on the appeal and stay. In the meantime, the Settlement Facility and the Finance Committee will continue its ongoing work to be prepared to issue the payments. The documents concerning the appeal will not be available on our website until the Court rules on the pending Motion to Seal Pleadings and Exhibits. The Claimants' Advisory Committee has filed a Response Brief with the 6th Circuit Court of Appeals regarding Tissue Expanders. Dow Corning has filed an Appeal to the 6th Circuit Court of Appeals regarding Tissue Expanders. The Claimants Advisory Committee response is due February 11, 2014. Today, the District Court ruled on the pending request to make Partial Premium Payments to certain approved claimants. The Court GRANTED the request and ordered the Finance Committee to implement a 50% Premium Payment as soon as practicable to "Historical Claimants" - those claimants whose claims were paid before January 1, 2011, and 50% Premium Payments to those claimants who claims have been or will be paid on or after January 1, 2011. It is almost certain that Dow Corning will file a Notice of Appeal of this ruling to the Court of Appeals for the Sixth Circuit. To read a copy, click here. In Memoriam - F Andrews. To read, click here. Judge Hood has ruled on the Tissue Expander Issue. To read a copy, click here. In Memoriam - D Austern. To read, click here. The Sixth Circuit Court of Appeals issued their Ruling on the Time Value Credit Issue on March 8, 2013. The Sixth Circuit Court of Appeals has affirmed the Ruling of the District Court. To read a copy, click here. The Settlement Facility offices are moving to a new location in Houston, Texas on March 30th, 2012. During the move, the phones, emails and access to the "My Claim" feature on the SF-DCT website will be shut down from March 27th to April 2nd, 2012. This means representatives will not be able to answer any calls or emails during this time. Please be patient during this transition. The court heard oral argument from the parties on the Finance Committee's motion requesting authority to make Premium Payments. As we anticipated in previous newsletters, the court did not rule on the motion at the hearing. The matter is now under consideration by the court. We do not know when the court will issue a ruling. As soon as an order is entered, we will send out a newsletter and update our website with the information. The briefs are on the CAC website (www.tortcomm.org) under the heading "Pending Motions." If you are not receiving the Enewsletters via Email and you have registered your email address, please check your spam filters to make sure the emails are not being filtered out. The briefing on the Finance Committee's motion requesting approval of Premium Payments to approved Rupture and Disease claimants is now complete. Copies of the briefs are available on the CAC's website. The hearing on this matter will be on January 31st. For more information, please read the January 5, 2012 e-newsletter available on this site. District Court issues an Order rescheduling the December 12, 2011 hearing date on Premium Payments to January 31, 2012 - see attached copy here. District Court Rules in Favor of CAC on Time Value Credit. To read a copy, click here. CAC Response to Finance Committee's Recommendation Regarding Premium Payments. The Finance Committee has filed their Supplemental Motion for Premium Payments. The CAC issued a new e-newsletter today. To read a copy, click here. It is with great regret that we report that David Austern is retiring as the Claims Administrator at the end of June 2011. We wish David well on his retirement, and we would like to express our sincere appreciation for his hard work and dedication, willingness to work with claimants and attorneys, and his success at the Settlement Facility in making the claims process highly professional and accurate. The Claimants� Advisory Committee has enjoyed working with Mr. Austern the past seven years, and we know we express the sentiment of many, many claimants and law firms who feel the same way. We are fortunate that David is willing to be a Consultant to the new Claims Administrator and Finance Committee. The parties have selected Ann Phillips as the new Claims Administrator. Ms. Phillips has worked at the Settlement Facility for the past 11 years as the Claims Operation Manager managing all aspects of the claims process and staff, and she is very familiar with the settlement plan. Kim Phillips, who has worked at the Settlement Facility since 2001, has been appointed the new Claims Operations Manager. We have tremendous confidence in Ann Phillips and Kim Phillips and their ability to continue the high standards of excellence that David Austern established, and we welcome them in their new roles as the Claims Administrator and Claims Operations Manager respectively. The CAC is pleased to announce that after many months of working with the Finance Committee, they have indicated today that they will recommend to the District Court that 50 - 100% of Premium Payments be paid to eligible claimants in 2012 or 2014. The Finance Committee will file a motion by the end of June 2011, as required by the Plan, with more details about the recommendation. We do not know anything more about the specifics at this time. We believe it is likely that Dow Corning will object to making Premium Payments now. We do not have a schedule for a hearing at this time, but the Plan does require that Dow Corning cooperate in an expedited process for review of this issue and to an expedited hearing. We hope to have this issue fully briefed and argued to the District Court by the fall of 2011. It is important to note that this is the first step to determine whether and when Premium Payments will be paid. The earliest that they could be paid would be in 2012. Please keep your address and other contact information up-to-date with the Settlement Facility so that payments will not be delayed. If you have not completed the Address Verification Form that was mailed to you, please do so immediately. You can obtain a copy from the Settlement Facility by contacting them toll-free at 1-866-874-6099 or by email at info@sfdct.com. The CAC filed a petition for rehearing and rehearing en banc before the US Court of Appeals for the Sixth Circuit on the Disability A decision. A copy of the petition can be read or downloaded by clicking here. On December 17, 2010, the US Court of Appeals for the Sixth Circuit issued one order for the two appeals pending before it on the issues of 1) whether tissue expanders are "Breast Implants" as that term is defined in the Plan of Reorganization and, 2) does phrase "vocation or self-care" in the Disability language mean a claimant must be totally disabled in either vocation or self-care, or does it mean that a claimant must be totally disability in both vocation and self-care. On the issue of tissue expanders, the Court ruled that the Plan's definition of "Breast Implants" was ambiguous and therefore, the District Court should have considered "relevant extrinsic evidence" about what the parties intended. It remanded the case to the District Court and stated that once the District Court considers the extrinsic evidence and rules, that decision will be entitled to deference and will not be disturbed on appeal. On the issue of Disability A's language, the Court cited the Cambridge Dictionary on English and stated that based on this, the phrase "vocation or self-care" really means "vocation and self-care" and reversed the District Court's ruling. This means that the Sixth Circuit ruled that claimants must submit documentation that they are totally disabled in both vocation and self-care if they are relying on the Disability A language for payment. The CAC would like to point out to claimants that not all of the eligible diseases and conditions requires total disability to receive a Level A payment, and we urge you to read the Disease Guidelines carefully to see whether the ruling might affect a claim that you file in the future. A copy of the Order can be read under "Court Orders." The Finance Committee has decided, due to uncertainties that they believe may have an impact on the Settlement Fund, that Premium Payments should not be distributed at this time. Instead, they have postponed the decision and recommend a schedule be set to review the data and uncertainties so that they can report to the Court by June 15, 2011. Some of the uncertainties cited by the Finance Committee include what impact the closing of the MDL 926 Settlement Fund in December 2010 might have on the Dow Corning Settlement Fund, the two pending appeals before the Court of Appeals on Disability A and tissue expanders, and the motion on whether claimants, not Dow Corning, get the benefit of interest earned on the Initial Payment (the so-called �time value credit� motion). The latter motion is pending before the District Court Judge. We are, like you, deeply disappointed about this and disagree with the Finance Committee�s decision. We believe that the analysis of data from the settlement and the MDL 926 Settlement clearly show that the Dow Corning Settlement Fund has adequate funds to pay Premium Payments now and assure that sufficient funds will be available to make Base Payments in the future. We will contine to devote our efforts to get the payments that were bargained for and agreed to in the Joint Plan approved and paid to you as soon as possible. Today, a 3-judge panel from the Court of Appeals for the 6th Circuit heard oral arguments from the CAC and Dow Corning on the two pending appeals on whether tissue expander implants are "Breast Implants" as defined by the Plan, and whether the Disability A language that requires total disability in "vocation or self-care" should be changed to "vocation and self-care." The Court of Appeals does not issue rulings from the bench. They heard both parties' positions, asked questions, and then took both matters under advisement. We do not know when they will issue rulings, but it will likely take 3-6 months (or possibly slightly longer) before any decisions are issued. We will post any updates as soon as we receive them. The Settlement Facility has paid approximately $1.164 billion to eligible claimants who have submitted acceptable proof of Rupture, Explant and/or Disease. A chart listing payments by class and benefit type is in the e-newsletter and can also be found under the "Claims Data" heading. The CAC has requested that Premium Payments be authorized. We do not know at this time when these payments might be approved. Currently, there are two appeals pending before the United States Court of Appeals for the Sixth Circuit concerning whether claimants who have an implant called a "tissue expander" are eligible to participate in the Plan as "breast implant claimants" and whether the Disability Level A standard (for total disability) requires total disability in both vocation or self-care or just one of these areas to qualify for benefits. Dow Corning also recently filed a motion challenging the amount of credits its claims it is entitled to for funding the Settlement Trust. The CAC strongly opposes this motion and has filed a Response. Copies of these pleadings are under "Pending Motions." A hearing has been scheduled for March 11th. On December 28, Dow Corning filed its Reply to the Disability A brief pending before the 6th Circuit. To read or download a copy of the brief, go to the navigation tab entitled "Appeals to the 6th Circuit" and click on the document entitled DCC Reply re Disability A, 2009, 12-28-09. We have not received a date for oral argument at this time but we will post this information when it becomes available. The CAC issued an e-newsletter today. To read a copy, click here. Copies of the briefs to the U.S. Court of Appeals for the 6th Circuit are under the navigation tab entitled "Appeals to the 6th Circuit." The issue regarding the eligibility of tissue expander implants to be classified as breast implants is now fully briefed. The issue regarding the interpretation of Disability A's language of "self-care or vocation" has also been briefed, and we are waiting for Dow Corning to file its Reply brief due on December 28, 2009. Inquiries to the CAC can be sent to info@tortcomm.org. On July 10, 2009, Dow Corning filed a Reply in Support of Its Motion to Stay The Court's Rulings. You can read a copy by going to "Appeals to the 6th Circuit" and clicking on the above-named document. A hearing date has not been set at this time. The Court of Appeals for the 6th Circuit has not yet set a briefing schedule on the Notices of Appeal that Dow Corning filed regarding the "Disability A" and tissue expander rulings. The CAC issued a newsletter today that you can read by clicking on "Electronic Newsletters" and scrolling down to the date of June 29, 2009. 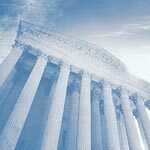 The newsletter has information about the Notices of Appeal that Dow Corning filed regarding the Court's Orders of June 10, 2009 on Disability A (and/or) and tissue expanders. Yesterday the Court entered orders ruling in favor of the CAC on two pending motions. The first order ruled that to qualify for Level A total disability, claimants may use either vocational disability or self-care disability. Previously, the Settlement Facility had required claimants to document total disability in both areas. The second order ruled that tissue expanders are breast implants as defined by the Plan and claimants with Dow Corning tissue expanders qualify for Class 5 or 6 benefits (Class 5 and 6 are for Dow Corning breast implant claimants). Copies of both orders are available to read or download by going to "Court Orders" and clicking on the appropriate order. Today - June 1, 2009 - is the 5th anniversary of the Effective Date of the Dow Corning Settlement Plan. This means that the Dow Corning Plan has been accepting claims and paying benefits on approved claims for the past 5 years. The following funds are closed to new claims: Class 7 (Silicone Gel Material Claims Fund) and Class 9 and 10 (Dow Corning Covered "Other Products"). In addition, the deadline to file a claim for a Dow Corning ruptured breast implant has also passed. Claimants who filed a timely claim in the bankruptcy and who have a Dow Corning breast implant may file a claim for Explant anytime on or before June 2, 2014 and/or Disease anytime on or before June 3, 2019. The CAC sent out a new electronic newsletter on May 28, 2009. To read a copy, click HERE. URGENT REMINDER - July 9, 2009 is the deadline for certain claimants to cure deficiencies in their ACTD claims. This deadline only applies to claimants who have already filed an ACTD claim and who had a deficiency in their claim. We urge you to contact the Settlement Facility for more information about the status of your claim and to schedule a time to speak with a nurse reviewer about how to cure the deficiencies in your claim. You can contact the Settlement Facility at their toll free number: 866-874-6099. The Claimants' Advisory Committee issued a new e-newsletter today. You can view or print a copy by clicking here. Back issues of our e-newsletter are available on our website by clicking on the tab entitled "Electronic Newsletters" and scrolling down past the sign-up form. You can also sign up to receive free copies of the newsletter on this same page. There are over 3,000 claimants with an ACTD claim who have a July 9, 2009 cure deadline. The SF-DCT mailed a reminder letter about this deadline to these claimants today. A copy of the letter is available by clicking here. Please do not wait until the last day to submit your documents for a re-review of your disease claim. This will cause a very large backlog and processing delays at the SF-DCT. Today's e-newsletter also contains information on claims processing status and payment information. As of February 28, 2009, the SF-DCT has paid over $1.079 billion in claims payments. For more information, please review the March 25, 2009 e-newsletter. The deadline for the MDL-926 Claims Office to file an appeal to the District Court's Order dated August 8, 2008 on liens it asserted against certain claimants in the Dow Corning Settlement Facility has passed, and no appeal was filed. The Settlement Facility will issue payment to approved claimants whose claims were previously on hold because of the MDL-926 lien motion. If you have any questions about your claim status, please contact the Settlement Facility at info@sfdct.com or toll free at 866-874-6099. The MDL-926 Claims Office has begun mailing letters to attorneys and doctors about the conclusion of the Revised Settlement Program on December 15, 2010. For more information, click on the left navigator head entitled "MDL-926 Claims Office - Revised Settlement Program." Please note that the DCC Plan and deadlines are not the same as the deadlines in the RSP. URGENT: Attorneys who are willing to represent claimants with disease claims in the DCC Settlement Facility, please contact the CAC by clicking HERE. Claimants in the DCC Plan can file disease claims for Disease Option 1 (ACTD, ANDS, Primary Sjogren's Snydrome, Mixed Connective Tissue Disease, etc.) and Disease Option 2 (Scleroderma, SLE, Polymyositits, Dermatomyositis, and GCTS) until June 3, 2019. The District Court issued a ruling on August 8, 2008 regarding the motion that was filed by the MDL 926 Settlement Fund asserting liens against certain claimants in the Dow Corning case. The MDL 926 Settlement Fund had asked the court to allow it to receive a portion of the payment from claimants who were paid 100% in the Revised Settlement Program and who then asserted a right to payment from the Dow Corning Settlement Fund. The District Court ruled that the MDL 926 "cannot meet the constitutional requirement of standing nor the standing required under the Lien Procedures entered by this Court." (p. 13) In addition, it ruled that the MDL 926 Settlement Fund failed to meet the legal criteria to assert an equitable lien. As a result, the Court denied the MDL 926 Settlement Fund's motion. A copy of the ruling is posted on this website under the left navigation tab entitled "Court Orders." This is an URGENT REMINDER to "Eligible Late Claimants" identified in the Court's Order dated December 12, 2007 (a copy of the order is available to read or download under the left navigator heading "Court Orders"): the deadline to file a claim for Class 7 (Silicone Gel Material Claim Fund) or Class 9 or 10 (Covered Other Dow Corning Products) is July 21, 2008. If you are an Eligible Late Claimant with a silicone gel breast implant made by Baxter (Heyer-Schulte, etc. ), Bristol (Surgitek, Meme, Natural Y, etc), Bioplasty, Cox-Uphoff and/or Mentor, then your claim is in Class 7 and you must submit your Class 7 claim form by July 21, 2008. Claim forms can be downloaded from the Settlement Facility website (www.sfdct.com or www.dcsettlement.com). If you have a Dow Corning Covered Other Product, i.e., hip, knee, TMJ, etc (a complete list of eligible implants is listed in the Claimant Information Guide), then you must submit your Class 9 (or Class 10 for non-US citizens) claim form by July 21, 2008 . This is also an URGENT REMINDER that all timely Class 9 and 10 claimants must submit documents to cure any deficiencies in their Proof of Manufacturer documents by August 1, 2008. If you have any questions about the status of your claim or the deadline that applies to your claim, contact the Settlement Facility toll free at 866-874-6099 or by email at: info@sfdct.com. The CAC issued its 44th e-newsletter today (Vol. 5, No. 4). You can view or download a copy by clicking on the left navigator heading "Electronic Newsletter" located on this page. If you would like to receive a free copy of future CAC newsletters, please complete the on-line form that is located under the same heading of "Electronic Newsletter." The issue of confidentiality of claimants� names and medical information was addressed in the recent e-newsletter. You may view or download of copy of the court�s CM-ECF case filing procedures policies, specifically Rule 20, along with administrative order 07-AO-030 by clicking on the left navigator heading �Claimant Confidentially�. The Settlement Facility released additional information this week on how it processes claims for Scleroderma / Systemic Sclerosis. You can view or download a copy of the information by clicking on the left navigator heading "Disease Claims" and then clicking on the words "SF-DCT Criteria for Scleroderma." Information has also been released for disease claims of Polymyositis, Dermatomyositis, Mixed Connective Tissue Disease and Overlap Syndrome. The next scheduled release of information will be on April 1, 2008 on General Connective Tissue Symptom (GCTS) claims. The Settlement Facility is issuing checks to approved Medical Condition claimants in Classes 9 and 10 (Covered Other Products) for "Additional" and "Premium" payment amounts as authorized by the Court in its Order of December 12, 2007 entitled, "Consent Order to Establish Guidelines for the Distributions From, And to Clarify the Allocation of, The Covered Other Products Fund." You can view a copy of the Order by clicking on the left navigator heading "Court Orders." If you received a deficiency notice from the Settlement Facility regarding your Proof of Manufacturer claim for Class 9 or 10, then you have until August 1, 2008 to submit acceptable proof of a Dow Corning Covered Other Product or your claim will be permanently barred. For more information, contact the Settlement Facility at their toll free number 1-866-874-6099 or contact them by email at: info@sfdct.com. 2. Agreed Order Allowing Certain Late Claimants Limited Rights to Participate in the Plan's Settlement Facility -- this Order provides an opportunity for late claimants whose late claim request was received by the Court on or by June 1, 2007 to apply for limited benefits from the Settlement Facility. Claimants who wish to reject the settlement must do so by January 11, 2009. The Settlement Facility will send claim form packages to all eligible late claimants. 3. Consent Order to Establish Guidelines For Distributions From, and to Clarify The Allocation Of, The Covered Other Products Fund - this Order authorizes the Settlement Facility to distribute Additional and Premium Payments to approved Medical Condition claimants in Classes 9 and 10 (Covered Other Products Fund). The Settlement Facility will begin distributions immediately. The Settlement Facility has released information on disease criteria for the following Disease Option 1 claims: Primary Sjogren's Syndrome (PSS), Mixed Connective Tissue Disease (MCTD), and Overlap Snydrome (OS). You can download or print a copy of these documents on our website by clicking on the tab "Disease Claims" located on the left side of the screen. The next scheduled release of disease criteria will be for Scleroderma and Systemic Lupus Erythematosus (SLE) claims, which are eligible under both Disease Options 1 and 2. That information will be available on or before December 3, 2007. The CAC issued an electronic newsletter today to those claimants and attorneys who have signed up to receive a copy. If you would like to register to receive the e-newsletter, click on the tab "Electronic Newsletter" located on the left side of the screen. Today's newsletter has information on claims processing and payment for claims in Classes 5 and 6 (Dow Corning breast implant claimants), Class 7 (Silicone Gel Material claimants) and Classes 9 and 10 (Covered Other Products claimants.) To date, the Settlement Facility has approved and paid approximately 100,000 claims totaling $917,465,415. The Settlement Facility mailed information packages on the Notice of Intent (NOI) settlement to covered claimants and attorneys. (A copy of the Class 5/6 package will be available on the CAC website under "Rule 3005/Notice of Intent Claims.") Notice of Intent claimants are those persons who filed a Notice of Intent or Proof of Claim form that was received after November 30, 1999 (the date the bankruptcy court confirmed or approved the Amended Joint Plan of Reorganization of Dow Corning) and on or before August 30, 2004 (the deadline to file an NOI form), or who filed an NOI on or before November 30, 1999 but did not respond to Dow Corning's notice in 2004 that they needed to file a Proof of Claim form. If you have any question about whether you are an NOI claimant, contact the Claims Assistance Program's toll free number at 866-874-6099 or send them an email to: mailto:info@sfdct.com. The NOI settlement only applies to NOI claimants. It does not apply to timely filed claimants. Included in the NOI informational package is the "NOI Acceptance Form." (A copy of this form is also avaiable for download on this website.) If you are an NOI claimant and want to remain in the NOI settlement, complete and return the NOI Acceptance Form to the Settlement Facility. The form instructs claimants to place a label on the box. Labels were not included in the informational package. Use the label that the Settlement Facility sent to you with the claim forms in 2003. If you do not have a label or cannot locate it, print your name and other information in the box and return the form. You do not need a label to return the form. The Finance Committee has released the Second Quarter 2007 Memorandum from the Independent Assessor. The Memorandum states that, "The Independent Assessor of the Settlement Facility - Dow Corning Trust (SF-DCT) reviewed the liabilities and assets of the facility as of the end of the second quarter of 2007 and estimated that the facility would remain solvent under each of a range of liability and asset assumptions tested. Until patterns of filing and claims acceptance become more certain, use of the current estimates for the purpose of determining whether premium payments can be made is premature." For a copy of the Memorandum, click here. The SF-DCT released new information on the criteria for disease claims for Polymyositis (PM) and Dermatomyositis. To view this information, Click Here. Additional information on disability claims and other eligible diseases and conditions will be released in the near future. NOI Claimants who wish to participate and accept the terms of the NOI Settlement can do so by completing and signing the NOI Acceptance Form. On Friday, September 7, 2007, the Court signed a �Consent Order Resolving The Motions of Dow Corning Corporation To Establish Procedure To Match Notices of Intent to Rule 3005 Claims and Limit Participation In Settlement Program By Non-Matched Notice of Intent Filers.� This settlement only applies to Explant, Rupture and Expedited Release claims for �Conditional� or �Notice of Intent� claims in Classes 5 and 6 (Dow Corning breast implant claimants). It does not affect any benefits for timely filed claimants. What is an �NOI Claim�? Dow Corning filed motions in 2004 and 2006 (the NOI Motions) seeking to disallow �unmatched Notice of Intent claims� (�NOI Claimant�) for Explant, Rupture and Expedited Release. An �NOI Claimant� is someone who (a) submitted a Notice of Intent (NOI) or Proof of Claim (POC) form in the Dow Corning bankruptcy case that was received after November 30, 1999 (the date the bankruptcy court confirmed or approved the Joint Plan of Reorganization of Dow Corning) and on or before August 30, 2004 (the deadline to file an NOI form), or (b) filed an NOI on or before November 30, 1999, but did not respond to Dow Corning�s notice to file a POC pursuant to Paragraph 10 of the Confirmation Order. NOTE: Most claimants are timely filed claimants and are not NOI Claimants. A timely filed claimant is someone who filed a Proof of Claim form in the Dow Corning bankruptcy on or before November 30, 1999, the date the bankruptcy court entered an order confirming or approving the Joint Plan of Reorganization. The NOI Consent Order does not apply to timely filed claimants. If you have any questions about whether this settlement applies to you, contact Claims Assistance at 1-866-874-6099 or at info@sfdct.com. The Tort Claimants� Committee � and then the Claimants� Advisory Committee -- opposed the NOI Motions and have been working to resolve them for the past several years. We recently reached agreement to resolve Dow Corning�s objections to these NOI claims. There are many reasons why we recommend that NOI Claimants accept this settlement. It allows NOI Claimants to seek recovery for Explant (removal of a Dow Corning breast implant) and Rupture of a silicone gel Dow Corning breast implant, and also allows NOI Claimants to possibly receive a Premium Payment if these payments are approved for other non-NOI Claimants and if sufficient funds are available. It also allows NOI Claimants to have their claim processed now and paid without any further delay caused by the NOI Motions. There are some risks that NOI Claimants should consider. Under the settlement, the maximum amount available to pay all unmatched NOI Claimants for Explant and Rupture claims is $30 million. Based on the data and analyses that were done by a neutral third party � the Independent Assessor -- and the report of the Claims Administrator that was submitted pursuant to the June 10, 2004 �Order re Motion to Establish Procedures To Determine The Eligibility of Claimants Filing Notices of Intent After The Confirmation Date And Within 90 Days After The Effective Date,� this amount is estimated to be sufficient to pay all unmatched NOI claims for Explant and Rupture in full. However, payment in full cannot be guaranteed for Rupture claims for NOI Claimants. If $30 million is not sufficient, then Rupture and Explant claims by NOI Claimants (but primarily Rupture claims) may be reduced pro rata just like claims can be reduced pro rata for non-NOI Claimants if there is a funding shortfall. Taking into account the benefits and risks, the Claimants� Advisory Committee recommends that all NOI Claimants accept this settlement. A copy of the Consent Order is posted on the CAC website. NOI Claimants will have only one year to submit a claim for Explant and Rupture. This means that you must have your Dow Corning breast implants removed and your Explant and Rupture claim forms sent to the Settlement Facility within the next year to qualify for these benefits. This is a shorter period of time compared to the Explant deadline for non-NOI Claimants so please take note of it. The Explant Assistance Program is also available to assist you. Please note that this extension of the Rupture deadline does NOT apply to non-NOI Claimants. The extension is only for NOI Claimants and has been allowed because NOI Claimants were told they were not eligible for Explant and Rupture benefits and were not allowed access to the Explant Assistance Program prior to this time. Today, the Court entered the "Agreed Order Resetting Cure Deadlines." To download a copy of the Order, click HERE. For most groups of claimants, this is the FINAL extension for curing deficiencies in EXPLANT, RUPTURE, and CLASS 9/10 claims (Class 9/10 is for COVERED OTHER PRODUCT CLAIMS such as hip, knee, etc.). EXPLANT The proposed deadline to cure deficiencies in EXPLANT claims where the cure deadline either has already run or will run on or before March 18 is March 19, 2007. Claimants affected by the Agreed Order who do not cure their Explant deficiency on or by March 19, 2007 will have their Explant claim permanently denied. Category A - claimants who received a Notification of Status letter from the SF-DCT stating their either (1) their Rupture claim was deficient because they did not submit the operative or pathology report required by the Plan, or (2) did not have their Dow Corning implant removed, AND whose cure deadline has or will run on or by March 18, 2007 will have a new and final cure deadline of March 19, 2007. Category B - claimants who are not in Category A and who have a cure deadline that has already run or will run on or before May 6, 2007 will be in Category B. Beginning on February 1, 2007, the Claims Administrator will identify groups of claimants in Category B and provide them with at least 90 days notice of a new cure deadline. Thereafter, on a monthly basis, the Claims Administrator will send notices to the next group of claimants in Category B and identify a final cure deadline that is at least 90 days from the date of notice. Claimants who do not cure their Rupture deficiency on or before the deadline in their new Notification letter will have their Rupture claim permanently denied. DISEASE Claimants with a disease claim whose cure deadline has or will run on or before June 17, 2007 will have a new cure deadline of JUNE 18, 2007. The Claims Administrator and parties are working to finalize a document suitable for distribution to claimants concerning disease and disability criteria. After distribution of this document, the Claims Administrator and parties will establish a schedule for final cure deadlines for all disease claims in Classes 5, 6.1 and 6.2. CLAIMANTS IN CLASSES 9 AND 10 (COVERED OTHER PRODUCTS) Claimants in Classes 9, 10.1 and 10.2 whose cure deadline has or will run on or prior to February 19, 2007 will have their cure deadline re-set to February 20, 2007. This is a final extension of cure deadlines for claimants in Classes 9, 10.1 and 10.2. Claimants in this group who do not submit the required documentation on or by February 20, 2007 will have their claim permanently denied. On June 21, 2006, the Court entered an Agreed Order further extending all cure deadlines that have already run or that will run prior to January 16, 2007 to January 17, 2007. A copy of the Order can be downloaded by clicking [HERE]. This Order replaces and supercedes the order that re-set cure deadlines to July 17, 2006. Also, on May 31, 2006, the CAC filed a motion seeking an extension of the June 1, 2006 deadline for certain groups of claimants with regard to the Rupture Deadline, and the Class 7 and 9/10 deadline. A copy of the motion and related pleadings, as well as a copy of a motion filed by the Siegel Kelleher law firm that also seeks an extension of the deadline can be viewed by clicking on the "Pending Motions" heading on this website and scrolling down to the appropriate motion. The Siegel Kelleher motion also requested the court to allow expert reports documenting rupture such as those prepared by Dr. Pierre Blais. The CAC supports this motion and filed a Response asking the Court to allow expert rupture reports. Additional pleadings on the Disability A dispute and Release claims will be posted to the CAC website next week. We also plan to issue our next newsletter on July 6, 2006. If you have not registered to receive a free copy of the newsletter, you can do so now by clicking on E-Newsletter or by sending us an e-mail at: info@tortcomm.org. On May 31, 2006, the CAC filed a motion seeking an extension of the June 1, 2006 deadline for certain groups of claimants. You can read a copy of the motion by clicking on the heading "Pending Motions" and scrolling to the title, Motion for Extension. In addition, a motion to toll the rupture deadline and a request for an extension of deadlines to cure deficiencies was filed by the law firm of Siegel, Kelleher & Kahn. A copy of the motion is also available under "Pending Motions" and scrolling to the appropriate title, Motion of Siegel Kelleher to Toll the Rupture Deadline. On March 16, 2006, the CAC filed an omnibus motion on behalf of claimants who signed a "release" document from 1992 - 1995 seeking to invalidate the release as unconscionable. A copy of the Motion for Declaratory Judgment, Memo in Support and the exhibits thereto are now available for download under "Pending Motions." If you are or represent a claimant who may be covered by this motion, please contact us at info@tortcomm.org. In addition, the CAC has posted a list of acceptable Affirmative Statements from doctors regarding their use of Dow Corning implants. To view or download this list, click on "Product Identification" and the chart is listed there. Additional translations of the CAC newsletters have also been posted as of today. Please click on "Translations" to view all of the available translations. claimsoffice926@aol.com. The email address for the Settlement Facility is the same: info@sfdct.com. We have posted translations of the CAC newsletter into French, Portguese, Spanish, German, and Swedish. Click on "Translations" to view or download a copy. The following documents were posted to our website this week: a "Dear Doctor" letter from the Claims Administrator that can be provided to doctors to explain what the Settlement Facility is and to request their cooperation (a copy can be downloaded by clicking on "Claim Submission Issues" and then "Dear Doctor Letter"); new claims processing and payment data; recent motions filed regarding rupture and disease claims; and copies of pleadings filed regarding opt-out claims and releases. In addition, the CAC issued a e-newsletter on February 24, 2006. You can read a copy (and sign up for free delivery) on this website by clicking on "E-Newsletter." The Facility has met with the developer of the current system for processing claims to identify and plan improvements. The goal is to improve the speed, accuracy, and efficiency of our current processes and communications to Claimants. In the areas identified as needing improvement the Facility has retrained staff. A new trainer has been hired to focus specifically on enhancement of our training resources. The Facility is reviewing claims approved at MDL that were not approved by the Facility. If the claim was for the same disease and compensation level approved at MDL, the claim will be paid at the same level here. If the claim is for a new disease or higher compensation level, new records are required for the review. The Facility is in the process of reviewing the letters used to communicate claim status. Where possible, letters will be edited for clarity of content. The Facility has enhanced the resources used for Internal Quality Control of claims already approved or denied. Additional staff has been added to the audit team. This team is in the process of reviewing claims already processed to ensure consistency in outcomes. As a result, if your claim is audited and found to be in error, the Facility will correct its error and contact you with the new results. In the interim, we encourage you to complete and return the Request for Review of Additional Information forms enclosed with your status letters. If you believe we made an error in the review, please write us and let us know where the error may have occurred. We will revisit the information in your file and communicate to you the results of the Error Correction Review. If you have new information to submit, please provide this information along with the Request for Review of Additional Information form. We will continue to review new information until your expiration deadline. If the results of the additional reviews are unfavorable to you, you may request an Appeal to the Claims Administrator. If the Claims Administrator determination is unfavorable to you, you may request an Appeal to the Appeals Judge. The Settlement Facility is committed to addressing the claims processing and quality control issues raised in the audit findings. A new Claims Administrator was hired in May 2005 to review existing policies and practices and to restructure areas that were found deficient. He will soon issue information and guidelines for submission of claims and will conduct a series of informational meetings in the U.S. and Europe. We appreciate your patience as we work to improve the quality of our service. On February 7, 2005, the Claimants' Advisory Committee filed a number of motions that may pertain to your claim. The motions seek to toll the cure deadline for all requests for re-review that are pending and seek to amend the Plan to adopt a new proof of manufacturer protocol for implantations done in the United States prior to 1971. A copy of these and other pending motions is located on the CAC website under a new topic heading titled "Pending Motions." There are a number of additional important updates and developments which we will include in our next electronic newsletter which should be available on Monday, February 17, 2005. If you have not yet subscribed to receive a free copy of the e-newsletter, sign up now by clicking on "E-Newsletter" link on this website. This week, the Claimants' Advisory Committee filed a Motion For The Disclosure of Substantive Criteria Created, Adopted and/or Being Applied by the Settlement Facility and Request for Expedited Consideration with the District Court. A copy of the motion can be viewed or downloaded under the heading of "Other Downloads" on this website. A similar motion has been filed in the MDL proceedings before Chief Judge U.W. Clemon this week as well. Counsel for some Class 6.2 claimants filed a motion seeking adjustment of the attorney fee limits similar to the motion that was filed and approved by the Court for Class 6.1 claimants. A copy of that motion can also be found under "Other Downloads." The deadline to opt-out of the Settlement Option expired yesterday, November 29, 2004. If you did not opt-out of the Settlement Option by returning your Participation Form by overnight mail yesterday, then you are no longer allowed to opt-out and your claim will be placed automatically and permanently in the Settlement Option. Claimants who did not return a Participation Form will also have their claim placed automatically and permanently in the Settlement Option. Claimants who did timely opt-out will be sent a letter to confirm their decision. They will be given 30 days to change their election and return to the Settlement Option. If they do not return to the Settlement Option, then their claim will be placed permanently in the Litigation Option and they cannot return to the Settlement Option in the future. Claimants who sent a timely opt-out election must complete the Litigation Questionnaire by February 28, 2005. A copy of the Questionnaire is available for download on this website. Only opt-out claimants should complete this Questionnaire. Claimants who remain in the Settlement Option do not need to complete it. The CAC has issued several electronic newsletters which are availble on this website. If you have not yet subscribed (they are available at no cost), you can do so by clicking on E-Newsletter on this page and completing the on-line form. Our primary way of updating this website and informing claimants and attorneys of developments is the E-Newsletter which we publish once a month. Our next E-Newsletter will be issued on or around December 14th. The Claimants' Advisory Committee ("CAC") mailed its first electronic newsletter on July 1, 2004 to claimants and attorneys who registered for the newsletter by July 1, 2004 at 10 a.m. Central Time. A second supplemental mailing was sent to those who registered by July 2, 2004 by 10 a.m. Central Time. If you registered after July 2nd at 10 a.m. Central Time, then you will be on the mailing list for the next CAC e-newsletter which should be available on or about July 13, 2004. In the meantime, you can read the first CAC newsletter by clicking on Electronic Newsletter on this site and scrolling down to the appropriate link. If you believe that you registered before July 2nd at 10 a.m. Central time but did not receive a copy of the newsletter, please re-register. We did receive a number of partial and incomplete email addresses. Other email addresses returned the newsletter to us because the "spam" filter on the recipient's computer rejected it. Please adjust the setting on your computers to allow for delivery of this newsletter. The CAC has also been informed of websites that are selling forms and access to information in the Dow Corning bankruptcy case. There is no need to purchase any form or any information in this case. All forms and information are free by contacting the Settlement Facility directly at info@sfdct.com. If you paid money to receive forms or information in this case, please let us know by contacting us at: info@tortcomm.org. Also, all official information about this case, eligibility criteria, deadlines, class type, compensation payments, etc. is available through this website and the Settlement Facility. Please do not be misled by other websites with similar sounding names that claim to provide accurate information or that sell information. This information is free to you. The Claimants Advisory Committee has established an electronic newsletter to be sent by email to those who sign up for it. All names and email addresses will be kept confidential and will not be shared outside of this settlement. The newsletter will contain updates and new developments concerning the Settlement and Litigation Options, including information on claims processing, criteria, new protocols, and payment. We will also address frequently asked questions and provide feedback on common issues of interest. To sign up to receive a copy, click on "Electronic Newsletter" on this website and complete the form. The first e-newsletter will be sent by e-mail on July 1, 2004. The first batch of payments to approved claimants was mailed June 15th. Additional payments will be mailed in early July 2004 and following at least monthly thereafter until all claims have been reviewed. Only claimants who received an award letter on or about June 1, 2004 will receive a payment in the June 15th mailing. Additional award letters and checks will be mailed, so please be patient. If you have received a letter identifying a deficiency in your claim, then payment cannot be made until the deficiency is corrected. Please remember that there are very short time deadlines to cure a deficiency, so please take action immediately to submit additional documentation to cure the problem. If you have not yet submitted claim forms or submitted them only recently, then you will probably not receive a status letter on your claim prior to the opt-out deadline of November 29, 2004. This is because claims are reviewed in the order that they are submitted, and there are tens of thousands of claims that are currently in line for processing. Claimants who know now that they want to remain in the Settlement Option must submit a Participation Form with the Settlement Option (Box 2A) checked for their claims to be reviewed and a status letter issued. Payments will be issued separately for explant, rupture, and disease or expedited release. Therefore, if you submitted a claim for both explant and rupture and received only one award letter or one payment for explant for example, please be patient. You will receive a separate letter on the status of your rupture claim and on any other claim that you submitted. "Claimants holding Children Direct Claims, Miscellaneous Raw Material Claims, and Other Products Claims which are not Covered Other Products Claims have no settlement offer but have only the litigation option." "Non-Settling Personal Injury Claimants, parties asserting Assumed Third Party Claims, Miscellaneous Raw Material Claimants and Other Products Claimants whose Claims do not arise from use of a Covered Other Product will have their Claims resolved through the procedures established by the Litigation Facility Agreement and the Case Management Order." Claimants with a Dow Corning Other Product that is not a "Covered" Other Product (in other words, claimants whose only eligible implant or product is one listed on the chart included on this website under the heading "Class 9, 10.1 and 10.2) must file a lawsuit against the Litigation Facility, Inc. if they wish to pursue compensation. For example, silicone injection claimants are not offered any settlement benefits and are considered as not-Covered Other Product Claimants. Currently, there is a dispute between Dow Corning and the CAC over whether a not-Covered Other Product claimant needs to complete the Participation Form and elect Box 2B (litigation) and return it to the Settlement Facility on or before November 29, 2004, or whether these claims are automatically considered opt-outs and are channeled to the Litigation Facility. To ensure your rights are protected, the CAC urges all claimants with a not-Covered Other Product who wish to pursue compensation to first contact an attorney for legal representation, to affirmatively opt-out by November 29, 2004, and to read the Case Management Order for information about deadlines and procedures to file a lawsuit against the Litigation Facility. On May 20, 2004, Judge Denise Page Hood signed an Order authorizing the payment of First Priority Payments of Allowed Claims beginning on the Effective Date (June 1) and continuing until further order of the Court. This means that the Settlement Facility offices are now authorized to begin issuing payments to those claimants whose claims have been submitted and who have acceptable proof. For more information about the status of your claim, you can contact the Claims Assistance Program by visiting their website at www.dcsettlement.com or by calling toll free to 1-866-874-6099. The Judge also issued an Order recognizing the appointment of the Claimants' Advisory Committee that was appointed by the Special Master. As noted earlier, the Committee consists of: Sybil Niden Goldrich, Ernest Hornsby and Dianna Pendleton-Dominguez. In addition, Melissa Ferrari was designated as the Foreign Claimant Liaison Counsel to the Claimants' Advisory Committee and will assist the Committee on issues involving non-United States claimants. The members of the Claimants' Advisory Committee are very knowledgeable about the Settlement Plan and have worked closely on this litigation for the past 12 or more years and specifically have worked closely with the Claims Administrator on all issues related to this case. The Tort Claimants' Committee will be dissolved as of the Effective Date. Inquiries about the Settlement Option and Litigation Option may be directed to the Claimants' Advisory Committee at: info@tortcomm.org. One of the first things we are working on is supporting efforts to allow payments to begin to approved claimants immediately after June 1st. We are also working closely with the Claims Administrator to hold claimant meetings and educate claimants about the settlement process and their rights.